I always knew I loved Lisbon… after all, that’s why we came here to stay longer, but I think I’ve finally figured out exactly why. The views are spectacular. I’m not just talking about the wide, vast hilltop views, I mean the entire city. Yes, without doubt, the views from the many mirodouros high above the city are absolutely amazing, but it’s also every little alleyway, every corner, sitting in the praças (public squares), the seemingly never-ending staircases snaking through tight-spaced buildings, the laundry lines hanging outside of every window, the old-timers peering out from their balconies watching the world go by, and of course the multi-coloured buildings covered with beautifully hand-painted azulejos of all colours and patterns. 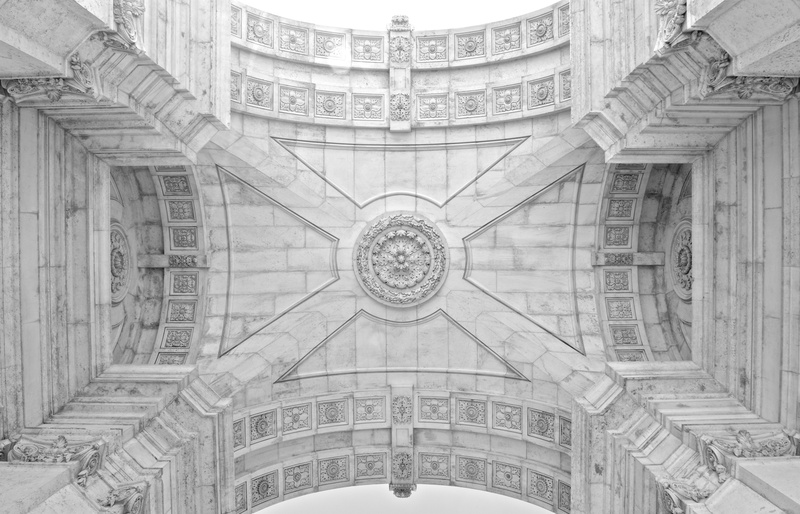 Lisbon is a unceasing source visual distraction. I’m such a visual person. I learn best through visual means, rather than through hearing or reading. I cook for a living. I love to see dishes come together, and I appreciate the visual beauty in the various ingredients I work with. Growing up, I was always into art, rather than science (although, I really love science now, in my older age). When travelling, I can just stand and look at a scene and take in all that is going on, even when there’s nothing going on.. often imagining all that has happened in that particular spot throughout history. This is why Lisboa is such a perfect city for me. Lisbon’s like a 3D landscape making it stand out so much from the 2D world where I come from. 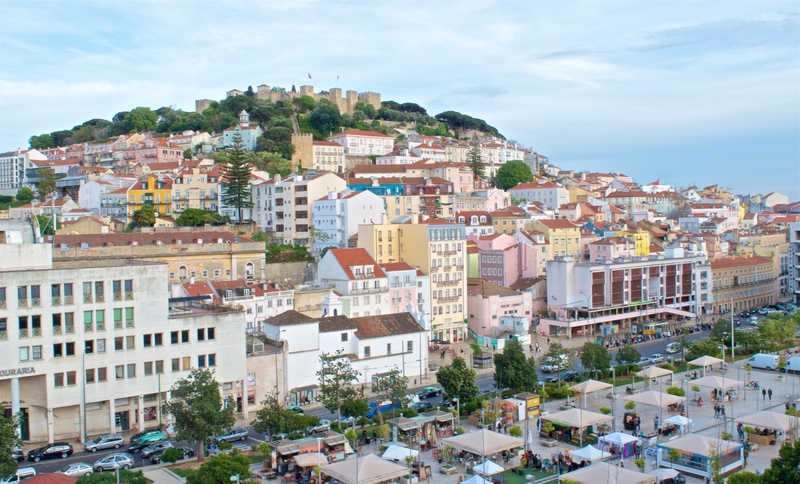 One of Lisbon’s monikers is “the city of 7 hills”, long ago inspired by Rome, which was the centre of the Christian world… although Lisbon actually has more than only 7 hills. In fact, no matter where you go, you can’t avoid having to walk up or down a hill or staircase. The buildings are layers upon layers of various shapes, sizes, and colours. The central downtown Baixa (lower) area, which is probably the only flat piece of land in Lisbon, due to the fact that it was built overtop of a once-existing river, and was rebuilt into a grid-pattern after the 1755 earthquake that destroyed the city. At the southern end of the Baixa, right in the middle is the Rua Augusta arch, acting as a gateway to the city. Just outside the arch, on the river, is the expansive Praça do Commercio, which used to be Europe’s busiest port bringing in goods from all over the newly discovered world. The buildings surrounding the praça are painted in a bright yellow, which has become an iconic symbol for Lisbon in my mind. 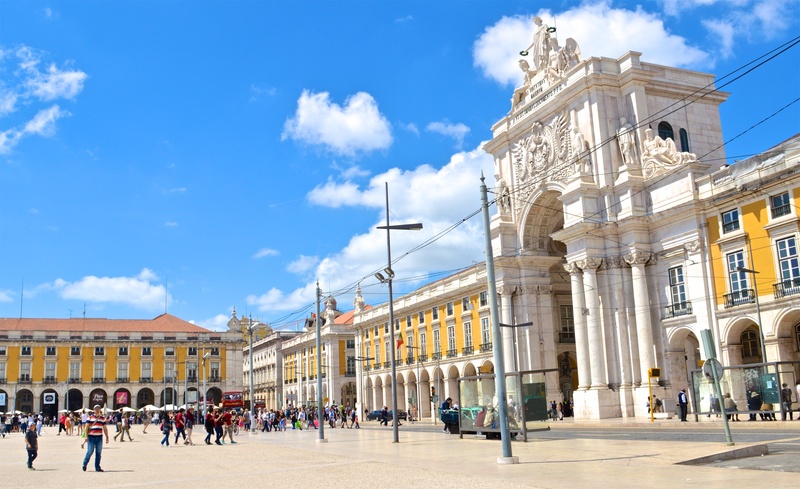 The bright blue sky is ever-present here – Lisbon is rumoured to have over 300 days of sunshine a year! The glistening, sparkling waters of the Rio Tejo, which is a an essential part of Lisbon life, can be seen from almost anywhere you go. 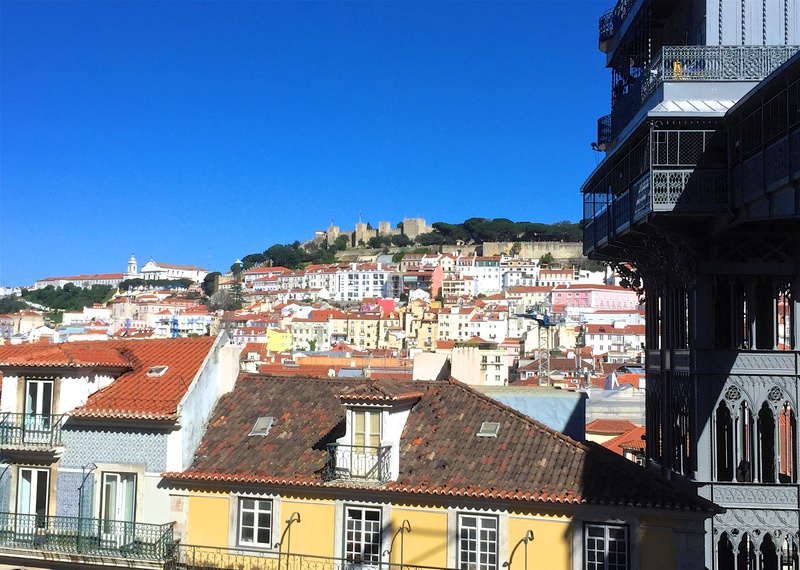 If you look to the east, the ruins of Castelo São Jorge looms over the city, once home to Portuguese royalty, as well as the Moors, Romans, and Celtic Lusitanians who came before them. 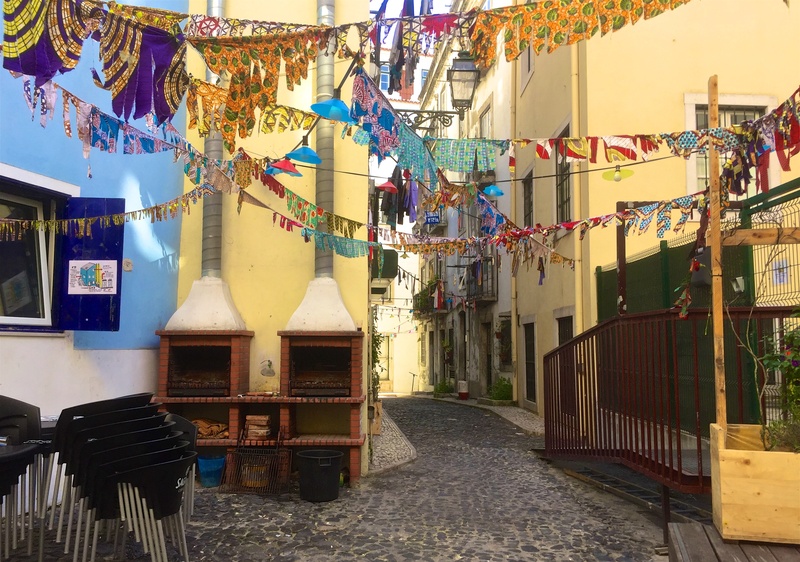 Sprawling down the slopes of the castle hill are Lisbon’s most historic and traditional neighbourhoods of Alfama and Mouraria, with the medieval winding streets and alleys, seemingly laid out with no rhyme or reason. Getting lost wandering in these areas is one of the best things to do when visiting Lisbon. There’s the neo-gothic iron marvel of Elevador Santa Justa, designed by a student of Gustav Eiffel, carrying tourists from the lower downtown strip to the higher up Bairro Alto neighbourhood. 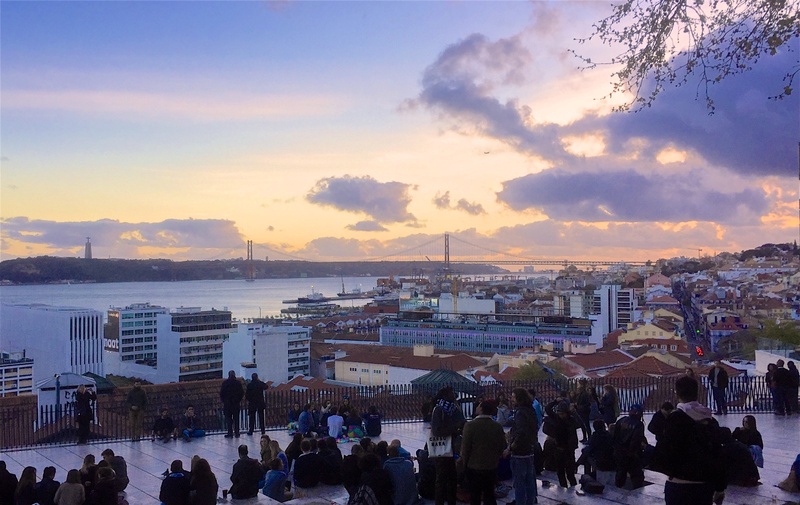 At the top of the lift, sits the Largo do Carmo, a pretty, tree-covered square that was the climactic site of the 1974 Carnation Revolution that restored democracy to Portugal after a half a century of dictatorship. 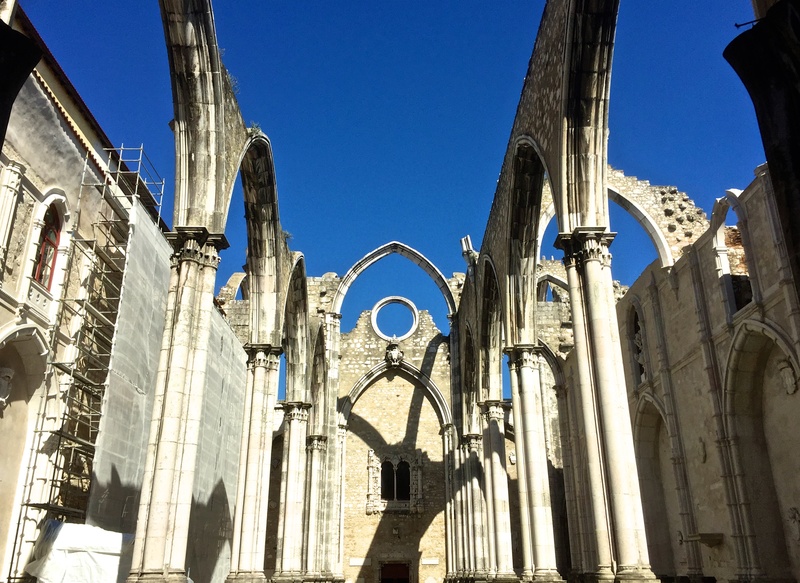 Also in the square is the ruins of the Convento do Carmo, one of my favourite sights, which can also be seen looking down over the city from the lower downtown areas. Once, one of Portugal’s most magnificent gothic churches, it sits as both a symbol of the destruction of the 1755 earthquake, as well as the layers of history that Lisbon has seen over time, as it houses a great tiny museum displaying many artifacts reaching back to neolithic times, that have been excavated from underneath it. 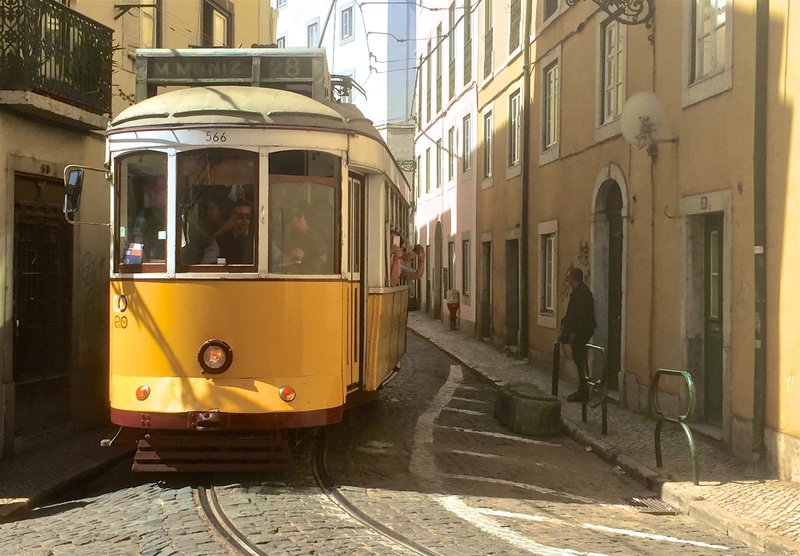 Winding through the streets of Lisbon, are the famous yellow trams (now with some in other colours, as well as two of them covered with cork), one of the most iconic symbols of the city. The #28 tram is the most famous, running through all the ‘essential’ neighbourhoods, but it’s also VERY packed with tourists, who often wait in line for over an hour just to be squashed in like a can of Portuguese sardines… unfortunately, making this the ideal pick-pocketing spot… so it’s best to avoid riding on, and enjoy viewing the trams from the outside. To compliment the street trams, there are various ascencors around the city… constructed like mini trams, most in the iconic yellow colour, often covered in graffiti, these lifts run on rails taking people from lower areas to higher areas, and vice versa, on extra steep hills. Everywhere you walk, you’re walking on history. 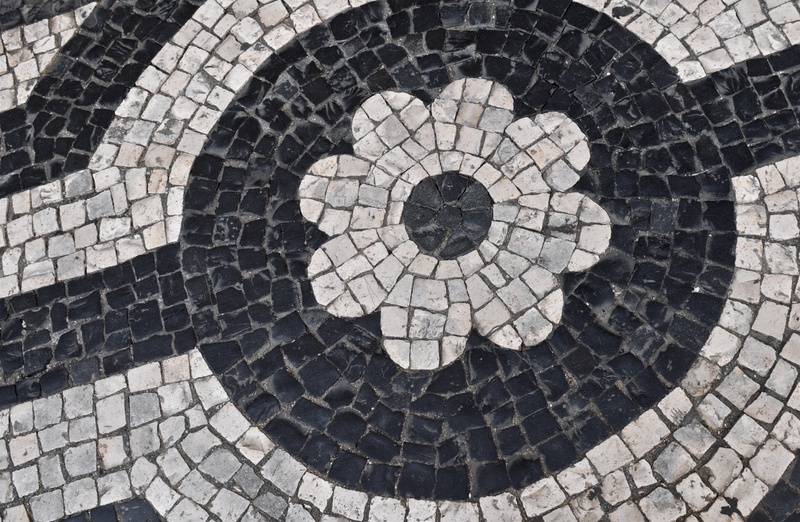 A simple walk to the store can have you distracted looking down as you walk, as every single sidewalk is constructed with the calçada Portuguesa… the traditional mosaic pavements, with intricate designs and patterns, made with small limestone and basalt blocks of various shapes and sizes. I really can’t get over the sidewalks here. Every path, every staircase…. it’s all made with this construction technique. It’s just amazing to me. 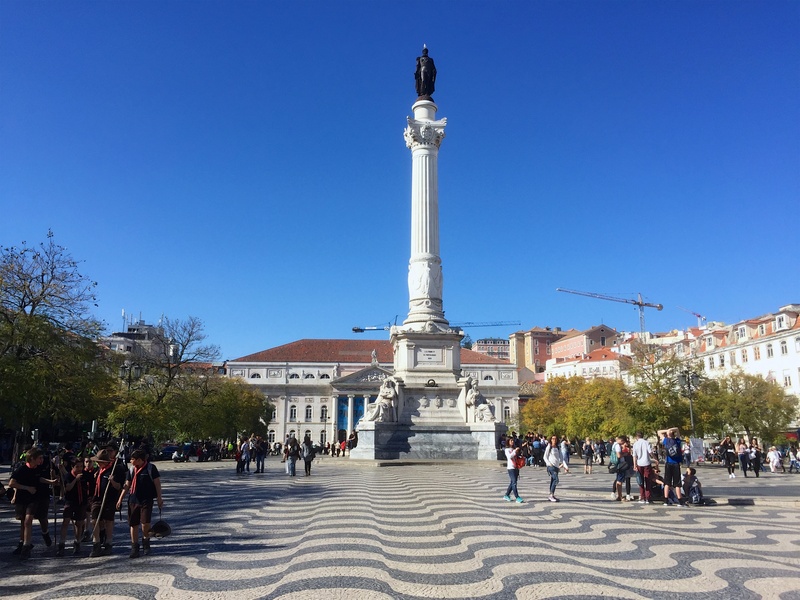 One of my favourite spots for this is the busy Rossio square. 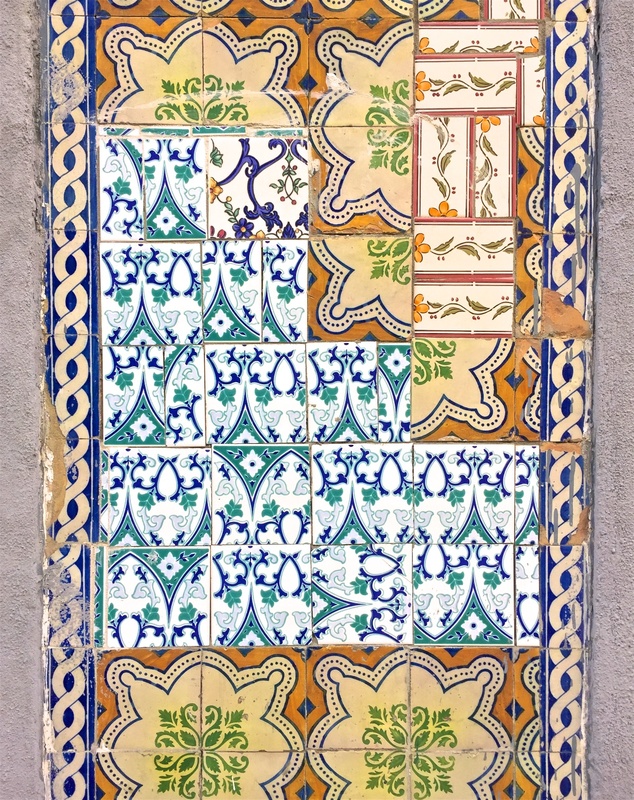 Azulejos…. oohhhh, azulejos. The love of my life (other than my wife, of course! lol). 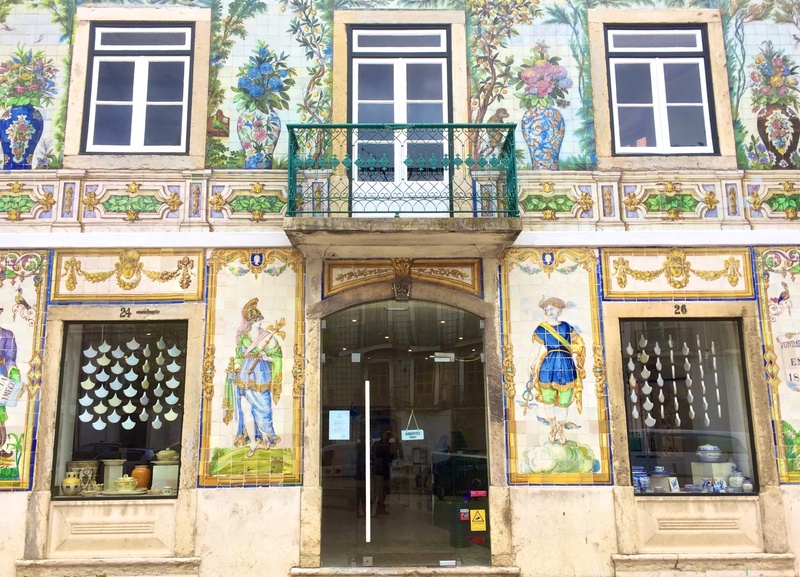 When you talk about icons of Portugal, you can’t leave out these hand-painted tiles that adorn pretty much the entire country. 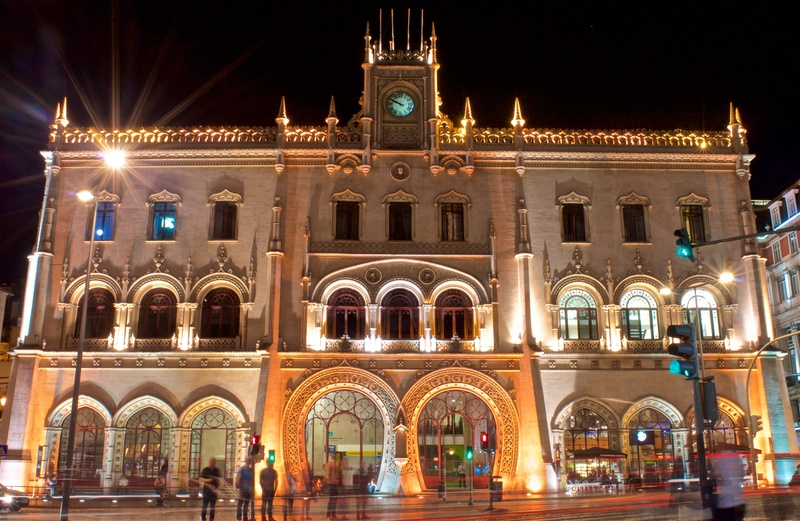 Another tradition originating from the Moorish rule in Iberia, the ceramic tiles were used to act as insulators, keeping buildings cool in the heat. The tiles vary in pattern and colour, almost acting as fingerprints to the buildings they cover, giving each place a unique character and bringing them to life. 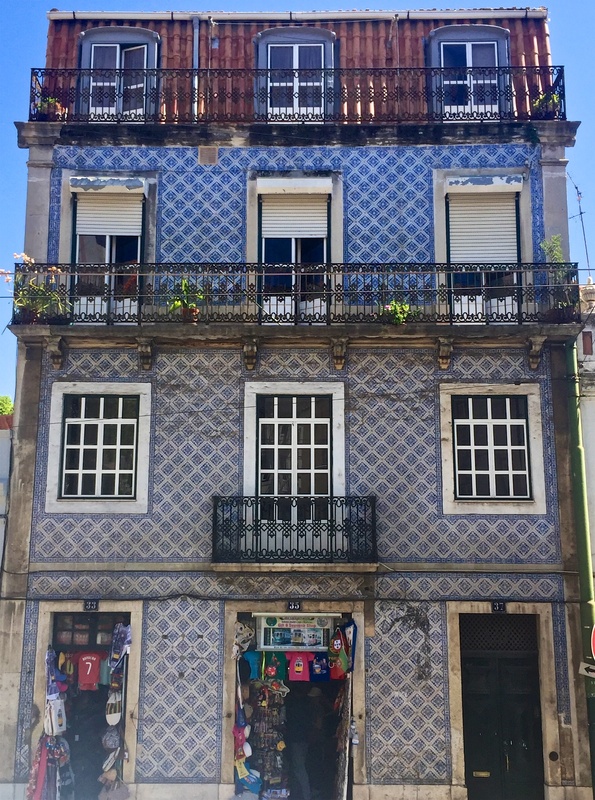 Cheap reproductions of azulejos can be found in every tourist shop, as well as high quality modern productions in speciality ateliers, but nothing compares to the just wandering the streets and discovering all the variations that you can find around town. Azulejo hunting has become one of my favourite past-times. 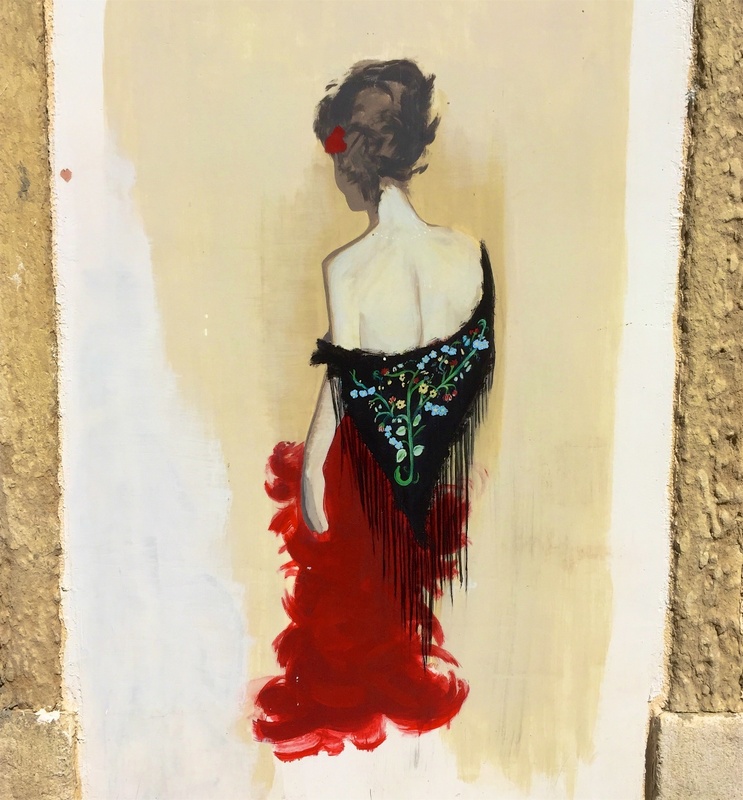 Another favourite past-time of mine to follow along the same lines as azulejo hunting, is street art hunting. 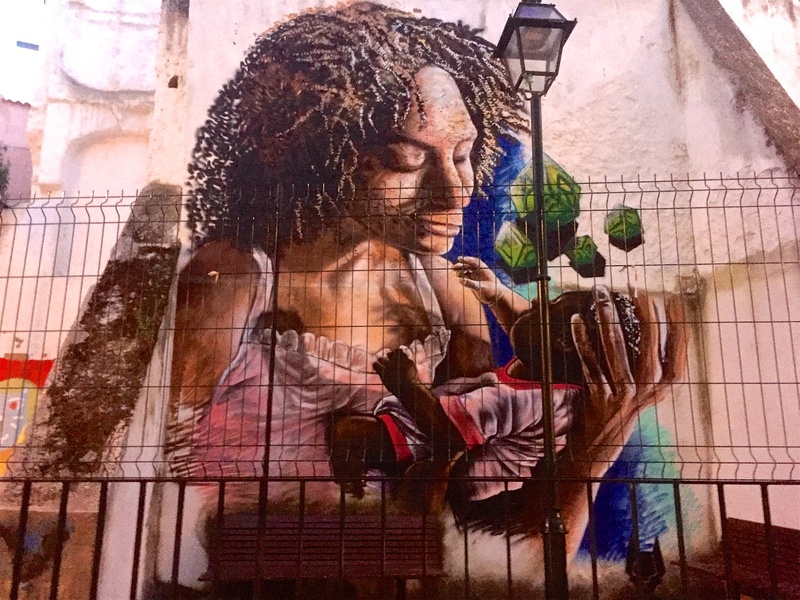 Graffiti is everywhere in North America and around the world, but for some reason, I feel like it’s taken to another level of street art here in Lisbon. Famous Portuguese street artist Vhils (Alexandre Farto), has gained prominence with the ranks of NYC street artist, Banksy, and his work can be found not only all over Lisbon, but also all over the world. 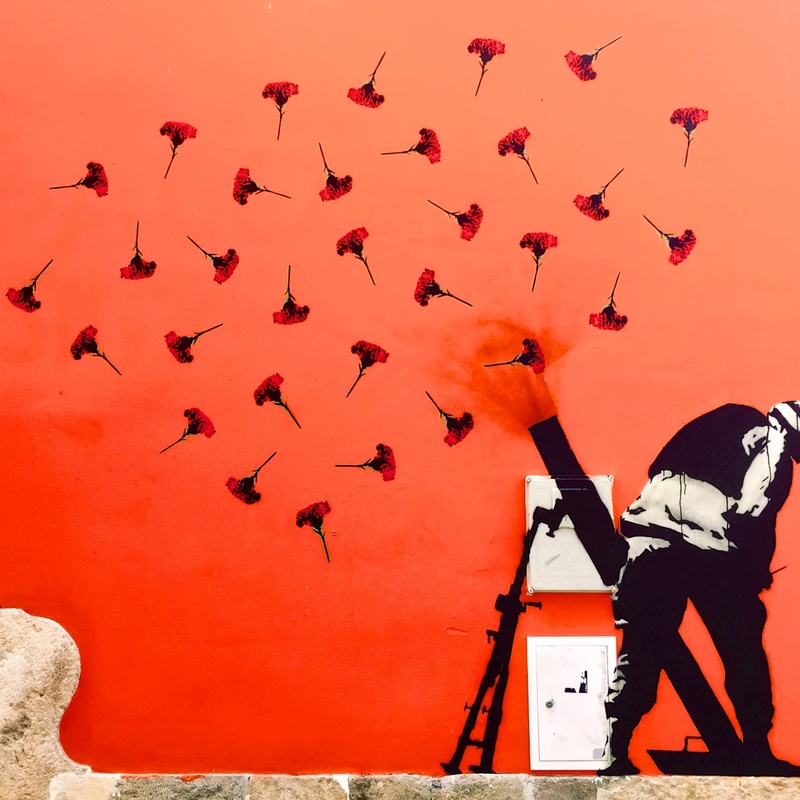 His large, stylized wall portraits are probably the most famous street art, but there are examples of hundreds of other street artists that can be found around the city… two of my favourites are tribute to the Carnation Revolution found in São Bento, and the tribute to Severa, found in Mouraria. 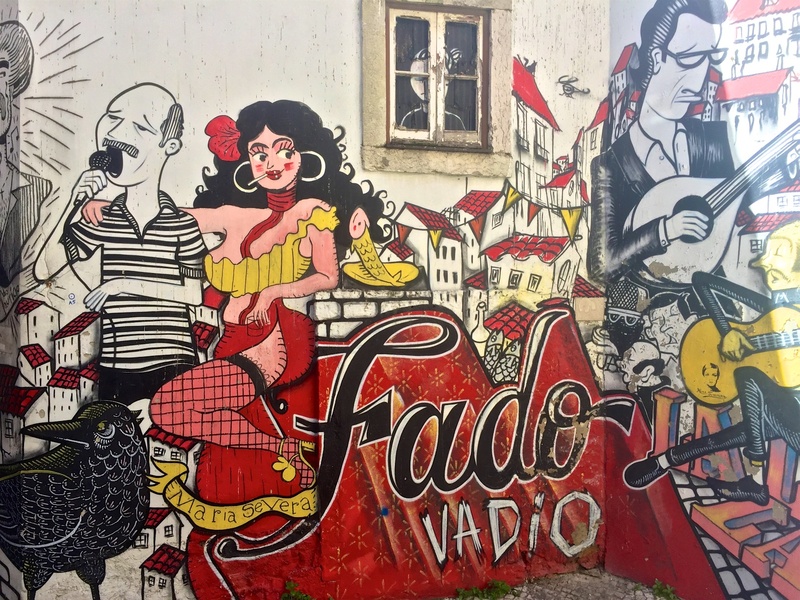 Whether it’s the panoramic city views from high above, the cramped alleyways adorned with laundry lines, the intricate sidewalk designs, the iconic trams and architecture, or the beautiful hand-painted tiles, Lisbon is visual overload in a good way. 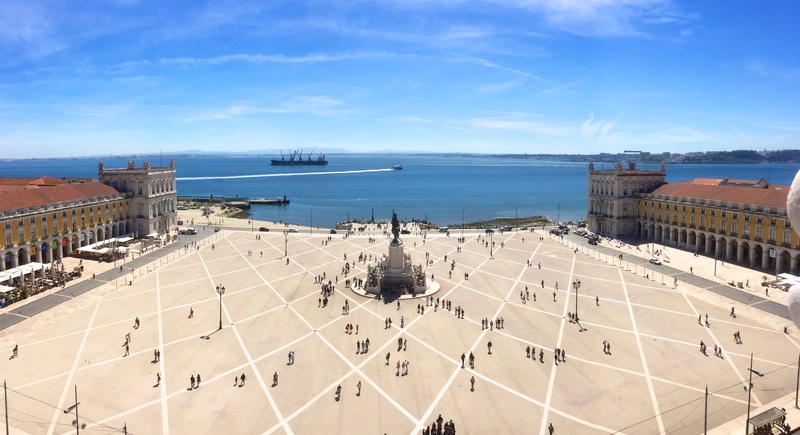 You’ll never run out of things to look at in Lisbon. It’s full of deep tradition, as well as a modern generation that has enough hope and drive to bring this historic city out of the darkness of economic hardship, to a future of innovation and advancement that keeps Portugal moving forward more and more every year.